New York, NY – September 25, 2017. Ron Gordon Watch Repair, a top-rated Rolex repair service for NY, New York, is proud to announce a new blog post on Rolex watches. While many New Yorkers know the Rolex brand as a top luxury Swiss watch brand, they may not realize the storied history and support of the brand for industry and exploration. Accordingly, this new blog posts summarizes Rolex and the Deepsea Challenge. The “Deepsea Challenge” was an event in which moviemaker James Cameron in 2012 used a submersible to go into the Mariana Trench in the Pacific World to a depth of 11 kilometres (7 miles). A Rolex watch was specifically designed by the company as part of the dive and succeeded in enduring the incredible pressure of the ocean. To read the new blog post on Rolex watches, visit https://www.rongordonwatches.com/2017/09/rolex-nyc/. 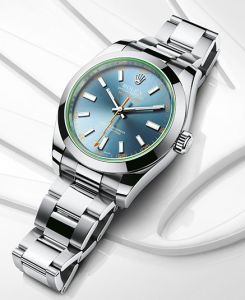 Persons who own Rolex watches, for example, are urged to visit the Rolex watch repair information page at https://www.rongordonwatches.com/rolex-repair/. Other brands can be visited on the website, as well, as Rolex is not, of course, the Swiss watch repair that is serviced and repaired by Ron Gordon Watch Repairs. Indeed, the company encourages a passion for all top watch brands and has many customers who have not just a Rolex but also a Tag Heuer, Breitling, and/or Omega among other favorable luxury Swiss watch brands. Others who come to the shop often “inherit” a watch into their family, and need an expert tuneup and repair. New York City is obviously one of the most important cities in the world, and its residents have a passion for excellence. New York boasts the biggest skyline in the world, the world’s largest stock exchange, and even the home-away-from-home of the new American President, no matter how controversial he may be. It is a city of extremes. It is a city of business. It is a city of the arts. It is a world city (home to the United Nations). But most of all it is a city that draws people from all over the world who want to be the best – the best in industry, the best in the arts, the best in style, and the best in a myriad other disciplines and endeavors that display the human spirit. Not surprisingly, when affluent New Yorkers turn to luxury Swiss watches, Rolex is one of their favorite brands. Sure, Rolex is an obvious choice – the Swiss watch brand with clearly the highest brand recognition among the “masses.” But those who may learn or be curious about Rolex for that reason soon learn that it is a storied brand with a storied technological history and a history of support for both industry and science. Part of the mission of Ron Gordon Watch Repair, therefore, is to nurture a passion for watches among the New York cognoscenti. By posting an article such as this one on Rolex and the Deepsea Challenge, the company hopes to grow that passion for excellence in a new generation. Indeed, a true luxury watch like a Rolex, Tag Heuer, or IWC should not languish “dead” in a drawer but rather should be proudly displayed on one’s wrist throughout the greatest city in the world, New York City. In this way, when one is asked, “Is that a Rolex on your arm,” the answer can be more than just a simple, “Yes.” It can be a history lesson that motivates both teller and listener to reach for excellence. Previous Post: Rolex and The Deepsea Challenge: What’s On Your Wrist? Next Post: Everything Tag Heuer. Everything NYC. Everything WatchTime NYC.